If you are looking to make a deeper connection to Haiti and to support Haitians working for their country, you have found it. 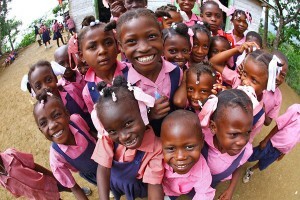 If you want to sponsor a Haitian students education, and change his or her whole life for the better, you can do that. Do you want to help a farmer, or fisherman, a child, a seamstress or nursing student, you can. Join us in making a difference for Haiti. You can be the change in the world that you want to see, we can do it together. Sionfonds is a network of bold and caring individuals who are making a difference, you can be one of us, we need your help. Together we feed and educate children and assist Haitians in building a better a Haiti.